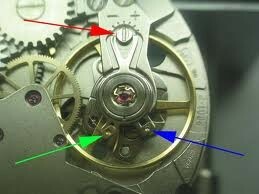 What is a watch Eccentric Screw? – An Eccentric Watch Screw is used to make fine adjustments in watches. Very minute turns of the Eccentric Screw can speed up or slow down the rate of time so that accuracy can be pursued and attained.